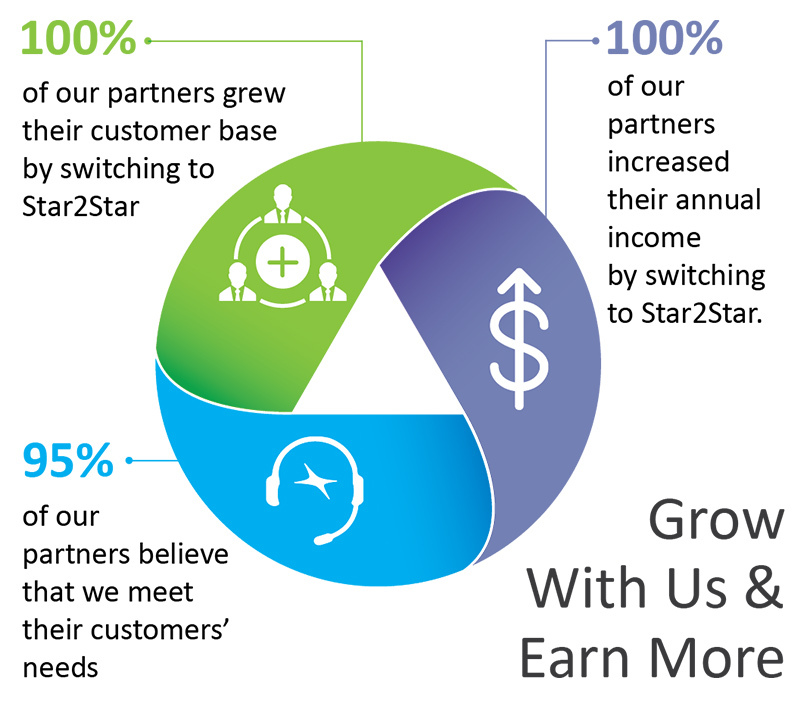 Star2Star is consistently recognized as a top provider to the agent channel, and our Agent and Master Agent Program makes it easy for you to focus on relationship building and selling! We don't sell direct, so our success is dependent on your success. We can offer assistance at every stage of the sale process, from marketing support to attract customers, competitive quoting and pre-sales engineering to help you land them, and a nationwide network of installers to make sure their system gets up and running. Our Agent Program not only gives you access to the best resources and information, but it also pays the highest commissions in the industry. Keep earning from add ons - All commissions for future add-on sales at your customer locations are yours. Register for online training today! Star2Star offers comprehensive online training programs for our Agents. If you would like to learn more about how to most effectively sell our products and services and how to work with the industry's best partner program, click here!